Abstract: In the late 20th century, the volume and complexity of laparoscopic operations being performed have increased worldwide. However, surgical practice lagged behind in the Caribbean region. 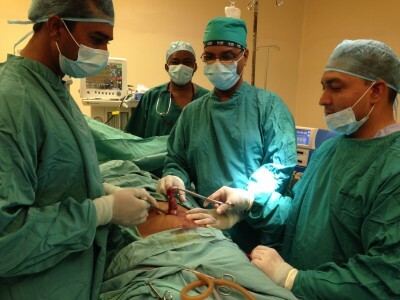 This article reports a tailored approach to initiate advanced laparoscopy in Guyana, which can be used as a model to initiate laparoscopic services in other developing nations. This can be achieved in four stages: 1) relying on regional proctors to teach laparoscopic techniques adapted to resource-poor environments, 2) focusing on developing skill sets such as laparoscopic suturing in order to rely less on expensive consumables, 3) creating partnerships that include all stakeholders, and 4) collaborating with regional experts as a valuable resource for continued medical education, multidisciplinary support, and sharing learning experiences.